A Greer resident who lost her 16-year-old daughter in a car accident is helping local families prevent similar tragedies. 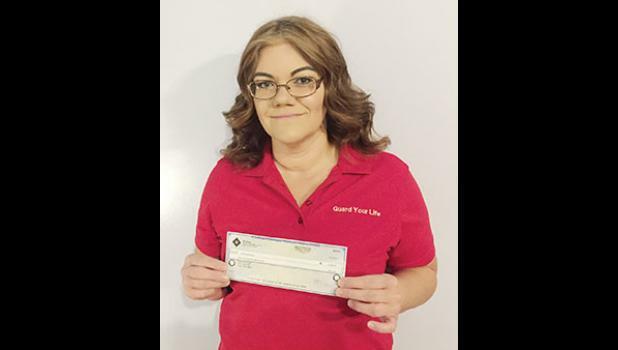 In an effort to keep more teenagers safe behind the wheel, Vicki Humphries and her husband started the Guard Your Life Challenge (GYLC). The program provides free driving safety classes held at Greer’s BMW Performance Driving School. Earlier this year, Humphries was selected to receive a $5,000 award by Birchbox, a beauty and grooming subscription business, which recently created the Future Starts Now Fund to support customers in achieving their personal projects. “I was very grateful they recognized we were trying to make an impact in our community,” Humphries said. The first Guard Your Life Challenge class started in December 2012. After the first few classes, the Humphries received an email from a parent who had enrolled her son in the class. Six years later, the program has full classes and about 60 people on the waiting list with teen drivers coming from North Carolina, Georgia, Tennessee and Florida. Since starting the program a month after her daughter’s passing, the Humphries have seen over 900 young drivers participate in the training classes with the goal of preparing teens to handle unexpected driving hazards in the safest way possible. “We hope that every young driver who comes through our class will retain some of what they learn, so they can avoid an accident, but you also hope that they will never have to use what they have learned,” Humphries said. Through classroom instruction, driver awareness activities and hands-on driving exercises, teens can improve their driving skills and increase their road knowledge. “You will never truly know how many lives that GYLC and Birchbox will affect through this program,” Humphries said. The challenge is for teenagers between 15 and 19 years of age, and teens must already have restricted license. The Future Starts Now Fund was born out of two things—wanting to make a real impact on International Women’s Day and Birchbox’s commitment to investing in their relationships with their customers. Birchbox also has an Employee of the Month program that served as additional inspiration for the Future Starts Now Fund. Each month, Birchbox employees nominate a peer who demonstrates the company’s core values, and the winner gets a $1,000 monetary prize. Humphries selected Humphries from a pool of over 3,500 applications. During the submission process, applicants were asked to tell their stories and the compelling reason behind what they’d do with the prize money. Over 3,500 people applied within 72 hours of the launch. The next recipient will be chosen by mid-December with a plan to select a total of four winners by the end of this year. “Beyond the $5,000 prize, the award also comes with additional resources like access to the Birchbox team to help them continue to foster their dreams,” Tomkiewicz said. As an example, their social media team is planning to provide Humphries with social media strategy advice and tips for the Guard Your Life Challenge Instagram.